I am member of several "Meetup" groups. 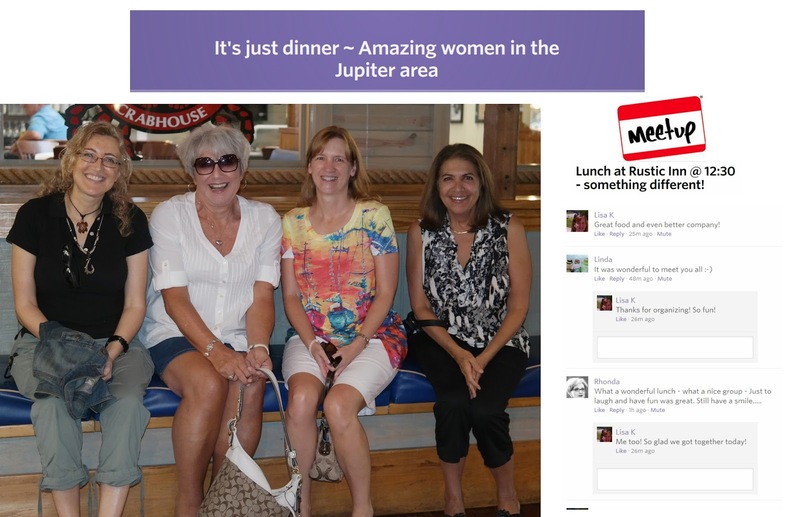 This one "Amazing Women", I joined several months ago but due to travel and circumstances had put off going to any of the meetups. This lunch just came up several days ago so I signed up. What a lovely interesting group of women. I am so happy I made the time and we literally laughed, joked and had fun for well over an hour and a half. Maybe the fact it was on a relaxed weekend day, or just having a beautiful view of the inlet with the lighthouse in the background - for what ever reason, it was fun and worth it. This was my first meeting of this Meetup group so knew no one and yes a little trepidation - but very happy I made the effort. Most areas have Meetup Groups. Check out you town/city, pick an area of interest and get out and meet new people. Nothing lost if the group is not interesting or judgmental - everything to gain in being out, plus having fun. That is absolutely great. You indeed have nothing to lose and everything to gain. Did all or any know you were a transwoman? No one knew. At least gave any indication they did. I just went and interacted as Rhonda.